PsdRunner is the PUP that uses misleading techniques to prevent removal. Use Reimage to locate malicious components and get rid of them faster than with uninstall instructions. A full system scan blocks virus reappearance and prevents traffic to malicious domains. PsdRunner - adware which appears in the system due to bundling. 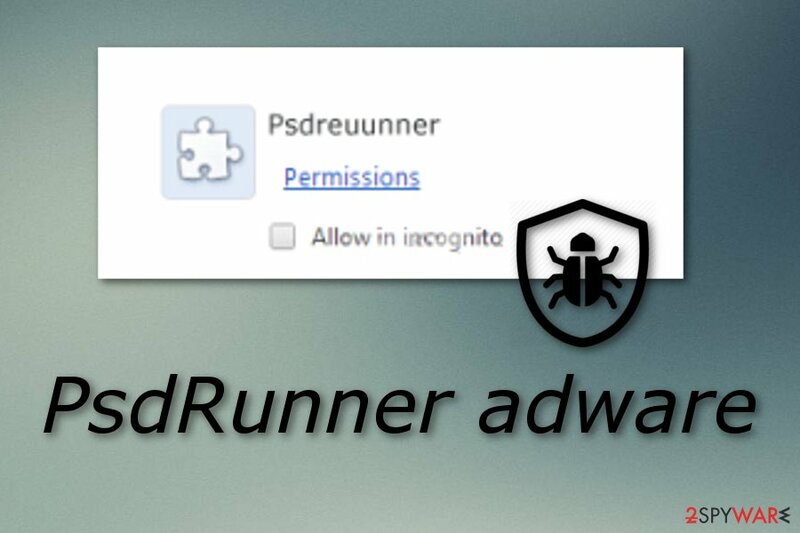 PsdRunner, also known as Psdreuunner, is another ad-supported program, which causes commercial pop-up notifications during people's browsing. This program is actively promoted using unfair distribution method, which relies on third-party programs. In most of the cases, it infiltrates computers as “additional download”, so if you don't pay enough attention to freeware installation, you can easily agree to install it on your computer. That's why there are hundreds of PC users who have reported about unexpected PsdRunner's infiltration and have called this program 'virus'. In reality, it can't pose harm to any computer but we still recommend avoiding this adware. Once installed, this potentially unwanted program appears as an add-on or extension in the web browser such as Chrome, Firefox, Edge, Explorer, or Safari. By the way, you can install PsdRunner on your machine voluntarily after falling into believing that this program can help you run Adobe Photoshop Document files and prevent errors that are related to them. Please, don't do that if you are not prepared for continuous pop-up ads and similar inconveniences. Such advertisements can start overloading your web browser and intruding your browsing sessions. you have spot questionable add-ons or extensions in your web browsers. If you spot these signs, note that an ad-supported program has occupied one or some of your web browsers. What you have to do is remove PsdRunner virus from your computer system and web browsers. Furthermore, we advise using anti-malware tools such as Reimage, Malwarebytes MalwarebytesCombo Cleaner, or Plumbytes Anti-MalwareMalwarebytes Malwarebytes to detect all rogue components in your PC. Otherwise, you will have to get rid of unwanted browser extensions, add-ons, and plug-ins on your own. Note that PsdRunner requires fast removal if you want to stop annoying advertising. Adverts can come in forms of pop-ups, pop-unders, banners, and even coupons. Such posts can try to trick gullible users and convince them to buy completely useless products or services. This can relate in unnecessary money losses which we think you definitely do not want to experience. Additionally, adware such as PsdRunner can collect all information that relates to your browsing sessions and habits. This type of data might include IP addresses, various websites visited, saved bookmarks, pictures and videos viewed, search queries entered, and similar. Developers collect this information to be able to create attractive ads and gain more money from the pay-per-click marketing technique. PsdRunner - a PUP which produces numerous adverts and hijacks web browsers. According to cybersecurity experts from NoVirus.uk, potentially unwanted programs such as adware applications and their components are actively distributed by using unfair distribution method, which is known as 'bundling'. In order to prevent infiltration of adware programs, you should choose only Custom or Advanced installation method and then find the check mark that says that you agree to install the program itself and similar extensions on your machine. An adware program can reach the computer system via unknown websites also. Some web pages come provided by third-parties and might lack needed protection. As a result, you can easily get infected with a potentially unwanted application or even malware by stepping on a questionable link. Be careful when visiting a suspicious webpage, or even better – do not visit such sites at all. Additionally, download and install a reliable anti-malware program which will protect your computer system automatically. Annoying ads, redirects, and similar issues are the clearest signs showing that your computer is affected. Don't ignore these things. In order to keep your computer secure, you should remove PsdRunner virus from your computer system. For that, you can use this our below-given manual removal guide or try reputable anti-malware programs which will complete the entire process in a few minutes. 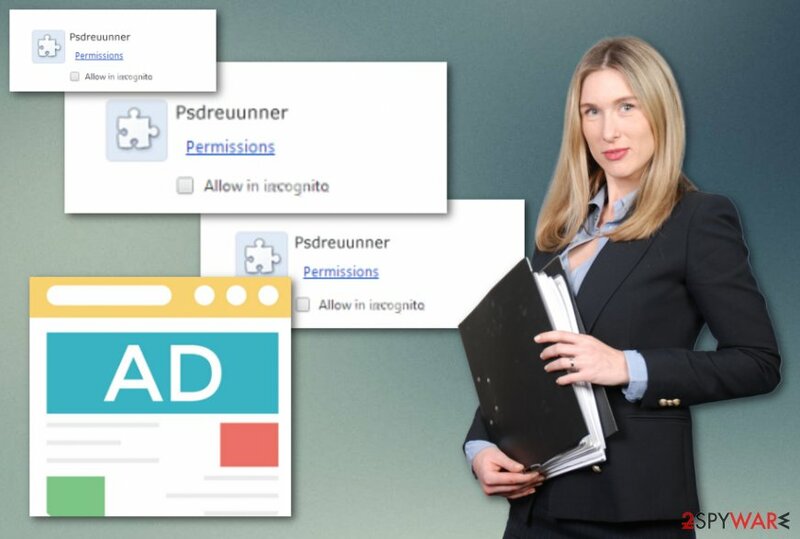 Performing the PsdRunner removal manually requires getting rid of all adware components from infected web browsers such as Google Chrome, Mozilla Firefox, Internet Explorer, Microsoft Edge, or Safari. All PUP-related content needs to be removed, otherwise, the adware program might renew its activity. Furthermore, do not forget to take precautionary steps the next time you decide to browse the web. Here, look for PsdRunner or any other recently installed suspicious programs. When in the new window, check Delete personal settings and select Reset again to complete PsdRunner removal. Once these steps are finished, PsdRunner should be removed from your Microsoft Edge browser. Here, select PsdRunner and other questionable plugins. Click Remove to delete these entries. Now you will see Reset Firefox to its default state message with Reset Firefox button. Click this button for several times and complete PsdRunner removal. Here, select PsdRunner and other malicious plugins and select trash icon to delete these entries. Click Reset to confirm this action and complete PsdRunner removal. Here, select Extensions and look for PsdRunner or other suspicious entries. Click on the Uninstall button to get rid each of them. Now you will see a detailed dialog window filled with reset options. All of those options are usually checked, but you can specify which of them you want to reset. Click the Reset button to complete PsdRunner removal process. ^ Vangie Beal. PUP - potentially unwanted program. Webopedia. Tech terms and computer info. ^ Larry Kim. What Is PPC? Learn the Basics of Pay-Per-Click (PPC) Marketing. Word stream. About online advertising. ^ NoVirus.uk. NoVirus. Spyware news site. 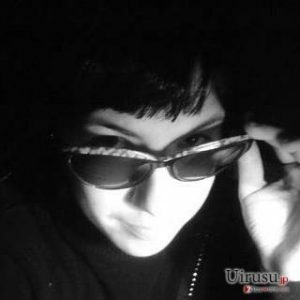 This entry was posted on 2019-02-20 at 04:47 and is filed under Adware, Viruses. You can quickly scan the QR code with your mobile device and have PsdRunner manual removal instructions right in your pocket. How did you remove PsdRunner?